Hollowing of the Middle Class? Consumers Ready for Mobile Payments? And Further: Why the @ Sign? Still not Paperless After all These Years. This is quite a buy. We took a look at IBM's offerings in social technology nearly a decade ago. Their early efforts included intelligent directories that could consolidate internal intelligence. I was impressed by their early work for social in the enterprise, and now they are doing quite a bit more. The integration of their systems is worth watching.
" ... IBM further solidified its commitment to Big Data with the buyout of Kenexa Corp., a developer of social analysis software for use in human resources decision making. The $1.3 billion acquisition bolsters Big Blue's competitive standing among rivals Oracle and SAP, and, according to the company, will serve as a platform for the development of more enterprise social media applications ... "
An interesting view. With the obvious example of smartphones converging on a rectangular design. " ... In a pre-iPhone age, mobile phones came in all shapes and sizes. Remember the clamshell, candy bar, swivel, backflip, slider, dual-slider, lipstick, and, of course, the taco? Nowadays, most phones have a touch screen, rows of icons and are rectangular. ... " . So does strong consumer accepted design trump functionality? It is likely we will continue to see more efforts like this in retail, the claim for immediate improvement is particularly interesting: " ... Walmart like many online businesses sees the search engine as a key element in boosting online sales. Online marketplace eBay for example said in November it is updating to a search engine, code-named Cassini, which will replace the Voyager technology that has been used since the early 2000s. Built in 10 months by a small team @WalmartLabs, the research and technology hub at the retailer, the new search engine called Polaris is based on the lab's Social Genome project, which uses public data on the Web, proprietary data, and social media, to identify interesting entities and relationships, and add them to the Social Genome.... "
And more on this topic. In Innovation Excellence: General Mills example of using open innovation by working closely with suppliers, increasingly common in industry today. This book provides readers with the fundamental concepts and tools needed to understand the emerging role of business analytics in organizations. Evans also shows readers how to apply basic business analytics tools in a spreadsheet environment, and how to communicate with analytics professionals to effectively use and interpret analytic models and results for making better business decisions. On my list to read. A very good piece on the topic. Deals with the strategic, operational and especially financial aspects of the problem. If we can't measure we can hardly improve. And usual visuals to understand the problem. Note also the links to other writing on the subject. Following up now. Brought to by attention again. The excellent and unique work done by BOI Solutions. Addressing enterprise needs that have been expressed by executives and employees for many years.
" ... Procter & Gamble’s groundbreaking Business Sphere environments enable rapid response to changes in the marketplace and uncover new opportunities to improve the lives of consumers. 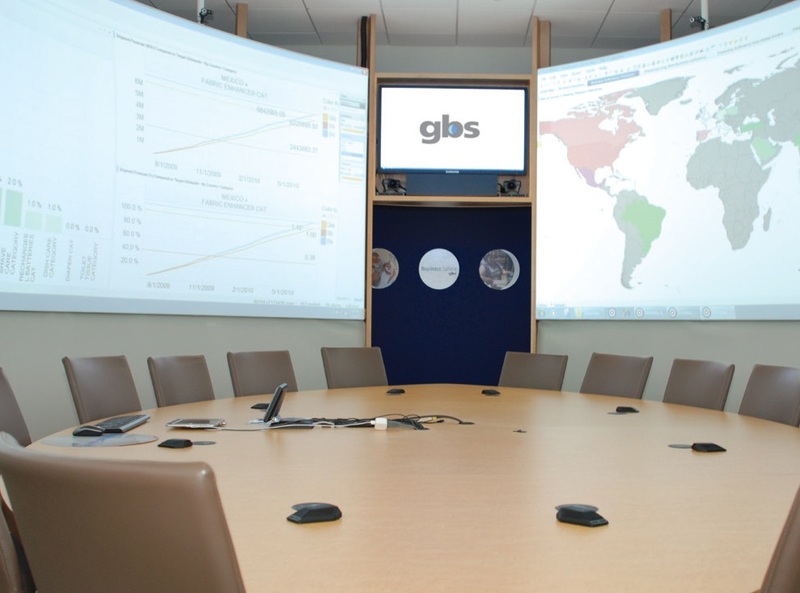 Business Sphere built and powered by P&G’s Global Business Services (GBS) is a visually immersive data environment that transforms decision-making at P&G by harnessing real-time business information from around the globe. By eliminating the delay of manually collecting and aggregating data, this patent-pending business intelligence system improves productivity and collaboration, simplifies work processes, reduces the decision-making cycle time, and enables P&G to focus on innovating for the consumer. ... "
For the past eight years some of the world's leading marketers*, have been funding a special research program to answer fundamental questions about buyer behaviour and how brands grow. See http://MarketingScience.info for information on the Ehrenberg-Bass Institute's findings. * including Unilever, P&G, General Motors, Kraft, Coca-Cola, Pepsi, Turner Broadcasting, and AkzoNobel. Michael Schrage talks about a fundamental tool of our industry: Asking questions. Sometimes its verbal, sometimes via an email or a store survey. It happens a lot. I have frequently been horrified by the length and numbing complexity of even professionally constructed questionnaires. He makes a good case for simplification. Bottom line for us, don't ask, but observe behavior in context. From Wharton: An extensive piece on the topic. " ... Recent downturns in the stock price of several social media companies -- several of which debuted to much fanfare -- may be due, in part, to investor worry over whether these firms are successfully monetizing their services. Social media is a relatively new concept, and business models are still being fleshed out, experts note, adding that Facebook, Groupon, LinkedIn, Zynga and others must find ways to make money without alienating their most valuable assets -- users. .... "
Via the Foresight Institute Richard Feynman's seminal 1959 talk on nanotechnology: Tiny Machines. And also a talk: There is Plenty of Room at the Bottom. Foresight Institute is good place to follow nano developments. As part of my continued look at supply chain technologies and measures I found this excellent article: Supply Chain News: How Do Companies Perceive Opportunities to Reduce Inventories Across the Supply Chain Few Companies Believe they are Excellent at Managing Inventories Network-Wide; What are the Top Barriers to Improved Performance? Good thoughts and stats. Reviewing this for application now. Forbes article on how big data meets the Cloud. A good piece by Forrester on the use of many resources, internal and external to drive business intelligence. And how Software as a Service will be the engine. Useful statistics as well. I had the pleasure of visiting John Milby's Full Scale Virtual Research Lab today. Got a great tour and technical discussion of work underway there. I worked with John at our enterprise retail laboratories for years. He is the consummate consumer research professional using years of experience to apply to brick and mortar retail, mobile environments and the interaction of retail and mobile devices. He leverages a laboratory that displays full scale product images and shelf environments where shoppers interact with and compare products. The data is then gathered and analytically combined with other captured behavioral information. Certainly impressive technology, but it is more valuable yet to apply years of consumer behavior experience to improve shopper experience and engagement. John continues to build partnerships with many other expert practitioners in the field to further enhance these abilities. Good work.
" ... his guiding principal was “consumers will know it when they see it; the challenge is to remove the limitations on what we can show them. Virtual packaging and shelf design is the path to our future.” ... "
Contact information at this link. In Fast Company: All is becoming more visual, shorter and simpler. Pinterest and Video. Info graphics. With an emphasis on entertaining rather than informing? So where is language going? Will this result in an ideogrammatic change of new proportions? M J Perry reports on the recent PEW report on the 'Hollowing of the Middle Class'. " ... But 150 Americans Moved Up for Every 100 Who Moved Down Between 1971 and 2011 ... " . Matches some interesting work we are doing that includes econometric contexts of purchasing decisions. Addresses the context requirements of predictive analytics. In FastCompany. What to do with the first hour of each day to be most productive. Not your Email. In Adage: " ... As Facebook urges big advertisers to boost their spending, its measurement team is playing an increasingly prominent role, trying to articulate the value of paid and earned Facebook impressions in terms media buyers know, such as GRPs, or gross ratings points .... "
A view with data visualizations. In particular, linking unexpected associations. " ... Big data analytics have enabled researchers at the Massachusetts Institute of Technology's SENSEable City Lab and colleagues at GE Healthymagination to create a powerful visual of the relationships between medical conditions based on the frequency of co-occurrences. The researchers combed through 7.2 million electronic medical records to create an extensive disease network, which they called the Health InfoScape. Their first analysis shows the numerous and sometimes unexpected associations that exist for any given condition.... "
With it go away soon? In Harvard Business blogs. Probably not, the blog suggests there will be a number of disruptions and even transformations. But the broad and multi casting of prepackaged serial video information to engage consumers will likely prevail for some time. Useful definitions, also the reminder that Data Science is not only about the data, but also the analytics that will be used with the data, and the business processes to which those solutions will be applied. I have repeated it in a number of presentations. It's about Data + Analytics + Process. They all have to be in place to do something useful. The complexity, speed, volume and volatility of the data has increased much in recent years, so you may need help on your team to make sure that is covered. But without the other elements you won't get the value you should. With zResearch, via Zakta, who I have talked to a number of times. A way to curate research via search. Aiming to add social interaction and collaboration to the process. There seems to have been little attention payed to how the enterprise can improve their innovation this way. Sure, everyone searches now, but how do we do it effectively when aiming at a specific goal? A down load at the site provides detail. The Curiosity blog. A background and long interest in astrophysics has me watching this closely. See also the mission site. Writes Christopher Conradi in Smarter Planet. Predictive maintenance is nothing new. We have done it in manufacturing for many years. What is new is the ability to do the prediction better. Sensors linked to databases of similar machines under similar conditions. Real time sensors that can sense the changes that indicate the need for adjustment, lubrication or replacement. Rule bases that can embody deep maintenance expertise. Statistical alerts can let us know well before the disastrous breakdown. We pioneered mathematical methods for high speed diaper lines that predicted very rare 'black swan' events. We are living in a much smarter planet today. The iconic medical sensor the stethoscope is attached to a smartphone and connected to the cloud for a specific diagnosis task, finding children's pneumonia worldwide. " ... the goal of the team is to enable early diagnosis of an overlooked childhood killer: pneumonia. Using a specially designed microphone called a “stethomic” that plugs into the smartphone’s audio jack and an app that guides users through the proper method for listening to a patient’s breathing, early testing shows promising at accurately detecting the disease. And it’s expected to cost only $20.... "
Are consumers ready? When we first examined the problem it was clear they were not ready. Now things have changed, and within only a few years many will be using mobile for payment. As the article suggests there are s still many issues, like an over abundance of choices for payment, that will delay the transition. The convenience and now familiarity with the smart device, will prevail. This blog has been around for a very long time. Once a mirror for a blog within a large enterprise. Now in the midst of experimenting with changes in its use and formats. I have used a number of other social networking capabilities to augment its reach, you will see a line below that allows you to pass the content here out to several of the other most popular social destinations. I am unsure about the clutter that this introduces, but I like the functionality, which allows me to easily distribute the content. Feel free to experiment and give me your feedback. Good thoughts on simplification of innovation in Innovation excellence. Proposed by John Brooker, inspired by an incident with bicycle gears, a " ... three gear approach to help your people innovate. Essentially, it is based on three components: Climate, Model and Tools. ... "
Out of the Smithsonian Magazine: On the invention of deodorant. The classic history of the marketing of solutions we did not completely understand that we had. Instructive example of changing a niche idea into broad application through convincing arguments. " ... 100 years later, the deodorant and antiperspirant industry is worth $18 billion. The transformation from niche invention to a blockbuster product was in part kick-started by Murphey, whose nascent business was nearly a failure. According to Odorono company files at Duke University, Edna Murphey’s Odorono booth at the 1912 Atlantic City exposition initially appeared to be another bust for the product. ... "
We see many of them these these days. Information Week looks at the needs for resources to solve these problems. Data scientists and tools are useful to have on call, but lets get the business questions down first, and please start simply. In a recent client discussion the initial very complex problem was whittled down to some high leverage, very visual, alert-enabled capabilities. We can start there, get 80% of the value and extend as needed. Later we can think about hiring a pack of expensive scientists. Simple first, always. Some interesting notes about the difference between online and in-store retail. These are mostly obvious conclusions, but would be useful to pass along to the online folks to ground them in the realities that still exist today. Going to a physical store can still save you time and money by creating the right kind of aggregations of need, based on a study analyzed. In the HBR Blog: I am a believer in the quantification of of business, but this description of leader as artist is quite insightful. Think further of how the leadership can enhance the design, powered by enhanced sensing that uses analytics. Lets tie it together. Colleague Krista Neher's Digital boot camp is now available online. " ... The popular and top-rated Social Media Boot Camp is now available online! Learn social media and Internet marketing online, at your own pace with over 30 videos and training modules, exercises and downloadable templates. This is an amazing value for our top-rated program .... ". See also her informative site for more on the topic. She was used by our enterprise and a number of others. In CWorld: A piece on Facedeals. " ... The system, dubbed Facedeals, uses cameras placed at the doors of participating stores and facial recognition software to identify users of the app and then offer them customized deals based on their history of likes and interests on Facebook ... ". We had examined a number of companies that were using facial, gender and age recognition using cameras. Here it is positioned as 'checking in with your face'. A Minority Report kind of development. It was determined early on that people felt uncomfortable when it was obvious that recognition was involved. Gender recognition to alter ad presentation did not cause the same reaction. Had not heard of this particular idea, but linking to Facebook content takes this yet a step further. The newly designed, Computing Now website (computingnow.computer.org) will feature new articles, and interviews by industry thought leaders regarding current problems and current technology solutions being utilized by companies. The goal is to present solutions that might be helpful to you in your day to day projects. As consumers behave differently when using social platforms, it is not a question of whether we need new metrics or not, but assigning metrics to unique consumer behaviors across different social platforms. Wizard Studies presents How to gamify meetings and events. A paper on the process. A meeting professional's guide to gamification. How to influence behaviors and enhance engagement. They provide a number of technical and organizational conference services. Found late. Quite a wealth of information from the Neuromarketing World Forum including people I have worked with: Stephen Sands and Gemma Calvert. A number of slide excerpts from presentations which indicate trends and technical progress in the field and practical directions that deal with marketing. I have detected some decrease in activity in this area of late, but this conference description may show otherwise. Unclear how many business participants attended. Some intriguing thoughts. Often impractical though. Knowing you want to negotiate sets the stage. Some useful thoughts on new metrics for social. In particular how these measures treat alternative environments. " ... As consumers behave differently when using social platforms, it is not a question of whether we need new metrics or not, but assigning metrics to unique consumer behaviors across different social platforms.... "
Fascinating piece in IEEE Computer on the issues around doing business in China. I have passed this off to colleagues there for a response. If of interest will repeat them here. A timely document. " ... The eighth in a series of articles providing basic information on legal issues facing people and businesses that operate in computing-related markets discusses some issues that can occur when doing business in the People's Republic of China. The featured Web extra is an audio podcast by Computing and the Law contributors Brian M. Gaff and Kenneth Choy, who discuss the practical steps to consider before doing business in China. YouTube URL: http://youtu.be/cmTuxZBVEnI ... "
My introduction to digital computing came just as the last courses were taught using analog methods. The convenience of digital devices was so overwhelming that you could easily see analog methods disappearing completely. Yet there were then and are now examples where analog works better. DARPA looks at this future. " ... the DoD is funding a new program called UPSIDE, short for Unconventional Processing of Signals for Intelligent Data Exploitation. Basically, the program will investigate a brand-new way of doing computing without the digital processors that have come to define computing as we know it ... "
PayPal, in collaboration with Discover, expands its presence in US retail. Press release. " ... Starting sometime next year, that arrangement will let PayPal customers use their charge cards at any of the 7 million retail locations that accept Discover cards, with funds drawn directly from their PayPal account. ... "
Key drivers of successful suggestion driven improvement programs to increase quality. You connect to the right possibilities, then seriously develop them. An HBS paper. A new look at faster and more successful product development. Generate and test. Ready, fire, aim. In part this depends on how expensive the 'fire' segment is. " ... The primary benefit of this approach is a shortened and less expensive timeline from “Not Knowing” to “Smarter” about your product and your market. It prompts you to get moving and start work immediately, without being paralyzed in the analytic stage. You are also forced to produce a feedback mechanism (the “Aim” part) that will provide guidance for your project. In my experience, this feedback mechanism is usually a test regime that will put the offering in front of people online and measure their response. ... ". From Kevin Ready. In the Edge: I was brought up in the hard sciences, so was always skeptical of how the fuzzy social sciences could be quantified in a meaningful way. But as I was involved in more laboratory looks at shopper behavior, I started to understand it could be done, but with different kinds of expectations. This post and video does not deal with the kind of work I was ever involved in, but it gives clues to where we are going. Chris Holden, of RecordedFuture, the forward looking search engine that semantically interprets future mentions of information on public and private webs, sends along a search on iPhone 5 rumors. A good example of how the idea works and can be applied to search future scenarios. A slick looking idea that combines a robotic base with the telepresence idea. How practical is unclear. We examined a warehouse tracking idea that used Segways and video cameras to display inventory in a large space. Not the same thing, but the hardware requirements were cumbersome. " ... When we say that Double is "iPad-based," it's literal: Double is pretty much just a mobile base for an iPad. You can log into the iPad from any computer or iOS device, and drive the robot around while streaming two-way audio and video lets you talk to people, go sightseeing, or do whatever else you want while remotely inhabiting the body of a robot. The iPad can be extended vertically from three and a half to five feet to maintain eye level with people sitting or standing, and the Segway-style base uses high-efficiency motors to zip around for up to eight hours on a charge. It's a looker, too, with a futuristic, minimalist design ... "
Obvious feature. Having a mobile device with a larger screen that's easy to show and to the workplace, makes selling and service easier to do. It also makes it easier to share an interaction that maps a business process and take that map to the physical place where it is relevant. Increasingly useful to me. Taking the idea of augmented vision away from glasses and into the contact lens. In the Financial Post. " ... Innovega is developing a contact lens called the iOptik lens that will provide the crucial step necessary to perceive an augmented, superimposed 3-D virtual reality.It can also enhance your vision as you’re seeing normal reality. 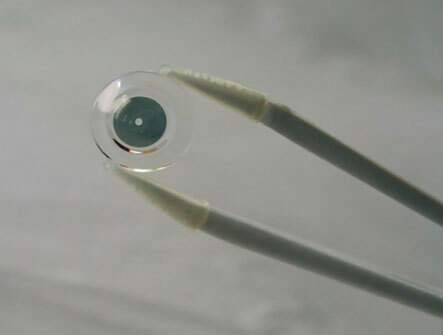 Using nanotechnology, the contact lenses allow users to perceive both reality and information provided by the Internet or another source. With these contact lenses, the user can view the world naturally: Their eyes can move normally and there aren’t any cumbersome goggles to hinder movement or perception.... " Descriptive Video. David Carr in the NYT: On recent plagiarism events. As 'journalists' we all aggregate, combine, co-create and sit on the work of those that have come before us. It is not always possible to assign the detail of credit that those forebears might want. And they themselves often claim much more than they can possibly consider original. An Interesting Article on P&G's Pricing Strategy and options in a post recessionary period. " ... The Wall Street Journal has reported that Procter & Gamble Co.’s new CEO, Robert McDonald, is “slashing prices” and warns of an impending price war in the branded consumer packaged good (CPG) industry. Yet, Mr. McDonald states, “In my mind there’s not a price war going on.” Is the Wall Street Journal guilty of hyperbole or is Mr. McDonald blithe to the profit destruction of price cuts? In this article, I argue in favor of Mr. McDonald and moreover why he might be prescient in taking a sensible pricing strategy shift to meet the post-recession market demands.... "
Slide show from a Gartner report on the expansion of the need for outsourcing services. I have also noted this in my own personal experience.The needs for services like data visualization and business analytics continue to grow. A topic that I have had to think about recently. Its naturally being done for issues of research, compliance and enhanced understanding of the consumer and their retail and service environment. But how can be most efficiently done? See for example Storeflix a successful and well thought out example of this process. Now how can analytical capabilities be directly connected to this information gathering process? The object to make both the mobilized field force more efficient and the use of the acquired data more valuable. A new book on scenario planning. A method we experimented with in the enterprise as establishing guides to alternative futures. I often found it good, useful, but it did not pay enough attention to the increasing amount of data now available to quantify results. Rail industry benefits. From MJ Perry. There will be other consequences to the broader US supply chain, and new jobs in the industry. In Wired: Dremel vs Hadoop in big data exploration and leverage. Good read. " ... Dremel is a way of analyzing information. Running across thousands of servers, it lets you “query” large amounts of data, such as a collection of web documents or a library of digital books or even the data describing millions of spam messages. This is akin to analyzing a traditional database using SQL, the Structured Query Language that has been widely used across the software world for decades. If you have a collection of digital books, for instance, you could run an ad hoc query that gives you a list of all the authors — or a list of all the authors who cover a particular subject. ... "
More innovative things from the big retailer: " ... Savvy online shoppers will have the chance to earn double Clubcard points by using Facebook to like, share and buy products with Tesco direct as part of an innovative new four week trial. In a first from the UK’s biggest online retailer, customers can double the amount of Clubcard points they receive for products they purchase by also liking and sharing it with their Facebook friends.... "
I have watched as large enterprises have re-done their branding over the years, in part by an urge for new creativeness, and even motivated by outside threats. That experience made me very skeptical about the process. Creative design can help a brand, but ultimately it is about what you do with the brand rather than the impact of a logo design. Here a survey of famous logos and their cost. In GigaOM: It is making us reconsider many aspects of the interaction between people and process. Further, it should make us think about where the analytics will reside. I am thinking about how the following will improve the broad delivery of analytics: " ... FreedomPop wants to create a social mobile-data network, where access is a secondary business consideration to services. GSM Nation plans to build a business around the idea that any customer should be able to pick any device, not just from a carrier’s limited portfolio. Republic Wireless is challenging the notion that mobile data plans can no longer be unlimited, tapping into a vast wealth of open Wi-Fi.... "
Related to work we did trying to understand how people react to new products. A form of non conscious, neuromarketing analysis. But now proposed via a smart phone. Another example of phone based, non conscious context, biometric sensors. In New Scientist. In Information Management: Reasonable thoughts about the topic. Better this than many of the infographics I have seen that muddle the information in the data to the point of confusion. SAP makes plans to turn Big data into intelligence. Something we all hope to do. Some new releases from the ERP giant: " ... Using its BI market share leadership to help customers use analytics to run like never before, SAP is focusing on five key pillars of its ongoing BI strategy for innovation without disruption: Core: A foundation for managing BI initiatives – data exploration, visualization, organization, reporting, sharing and more – is core for organizations of all sizes to understand how they are performing ... ". We were involved in early research done in China with retailers and universities in China. Notably with BJ Hualian, who ultimately used some our methods to develop a country-wide plan for training and innovation. So this article, detailing some of the processes used by EMC, was of interest. Professionals Spend 40% of Time Online Interacting in Peer Communities according to the Society for New Communications Research report, "The Social Mind," led by three SNCR Fellows, Vanessa DiMauro, CEO of Leader Networks; Peter Auditore, Principal of Asterias Research, and Donald Bulmer, Vice President of Royal Dutch Shell. This study explores the interrelationships between online content, global communications, information consumption, social media channels and social networks and changing influence patterns. The Social Mind also identifies key characteristics and insights into the engagement behaviors of influencers and individuals, and how organizations can maximize reach and influence to execute on what we call the new Principals of Engagement in the Millennium. This research is part of a 3-year on-going study on social communications and influence from the New Symbiosis of Professional Networks. The Social Mind research study clearly defines the characteristics and behavior of social media influencers within social media networks that impact the brand, reputation and potentially the sale of products. To purchase a copy of this report, please visit: http://bit.ly/NB6ZIU. Professionals spend 40% of their time online interacting in peer-based communities, closely followed by interactions with friends (31%), and 13% of time interacting with family online. 65% participate to engage with a professional community of colleagues and peers via social media networks.80% participate in groups online to help others by sharing information, ideas and experiences. Nearly 80% of respondents participate in online groups to help others by sharing information and experiences; 66% participate in a professional community of colleagues and peers; 41% participate in groups to be seen as someone knowledgeable. For seeking information about companies, nearly 50% of respondents said that visiting company websites was most meaningful, 45% read blogs; followed by microblogging (41%), direct email (40%) and information exchange in online groups or forums (41%). Educational information was by far the most frequently shared (61%). In the NYT: Largely obvious thoughts, but some very good links to a number of sources, including the report called Big Data, Big Impact from the World Economic Forum. Where they write: " ... The amount of data in the world is exploding - large portion of this comes from the interactions over mobile devices being used by people in the developing world - people whose needs and habits have been poorly understood until now. Researchers and policymakers are beginning to realize the potential for channeling these torrents of data into actionable information that can be used to identify needs & provide services for the benefit of low-income populations. This discussion note is a Call-to-action for stakeholders for concerted action to ensure that this data helps the individuals and communities who create it. ... "
A very informative piece in SC Digest, that surveys inventory turns by sector. A must for supply chain data trend understanding. " ... So, let's take an example. Amazon.com had about $48 billion in sales in 2011 (wow). Divided by 365 days in a year, that means the company sold about $131 million worth of stuff per day. It also ended the year with $4.992 billion in inventory. So dividing that inventory number by the $131 million in sales per day means Amazon holds on average inventory equal to about 38 days of its sales. McDonald's, by contrast, manages to hold just about 2 sales day's worth of inventory (I assume franchisers hold much of the inventory in the chain, though the restaurant category has the lowest overall DIO); Goodyear Tire holds 62 day's worth .... "
Cheap printable chips have always been mentioned as solutions for making RFID ubiquitous. Now a cheap chips example for the 'wave and pay' revolution, that is getting closer. In New Scientist. I worked on several large scale expert systems applications during the AI drive of the 1990s. One of the areas we specifically examined was the configuration of systems as they were moved to new applications. So I was intrigued by the application called PureFlex, to be featured at the XChange 2012 meeting next week. We were particularly interested in the integration of software with existing hardware, and how the life cycle of that software could be controlled and optimized. It is now a decade plus later, and it looks like the problem has been solved, see the excerpt below. If you are not attending this conference, see the details about a tweet chat below. I plan to participate. Note also the mention that this expert system is only one of a family of such systems for the midsize business. I look forward to seeing the others. Anything to make a small to medium size business easier to operate. There’s also a live tweetchat scheduled for Monday afternoon on August 20 at 2 EDT with an extended panel of IBM experts, executive and business partners. The topic is how this packaged offering of power, storage, networking and management can help midsize businesses optimize their infrastructures and transform their approach to information technology (Monitor the chat session here or follow #expertsyschat). IBM PureFlex is part of an integrated family of products for midsize businesses that feature expert systems technology. These systems deliver cost savings and improved efficiency by reducing setup times, saving on staff resources and automatically configuring themselves for maximum efficiency. The PureFlex System was “born virtualized” to offer extraordinary agility and cloud-computing- readiness out of the box. ... "
In CWorld: Continued progress in retail payment networks. " ... More that a dozen retailers including Best Buy, Walmart, Target and 7-Eleven have joined forces to form the Merchant Customer Exchange (MCX), a mobile-payments network that will compete with Google and Isis. The retailers claim that they are better suited than mobile operators and OS developers to develop a successful mobile-payment system.... "
From TDWI: Optimal pricing is a classical problem, used in retail in some form since the 1960s. Having more data can make it more accurate and useful. A kind of linkage we explored as far back as the introduction of SimCity. Now Johnson & Johnson links products with The Sims. A good example of product - game linkage: " ... The program uses value-exchange engagement media to talk about the brand's Advantage line of acne products. In exchange for watching a video about the product, players get a Clean & Clear "potion” that unlocks play benefits, like increased in-game currency.... "
Just brought to my attention. The Business Expert Press. Which publishes short, inexpensive, practical and accessible books on key business topics. In E-book and physical forms. These are written by both expert practitioners and academics, often in collaboration. What I have seen so far is good. I have recently been reviewing a few of their books on the topic of portfolio management and supply chain architecture and improvement. These could be used to supplement consulting engagements or to introduce an internal group to a new area of focus. This GigaOM piece made me think more broadly about how social networks can be passively recruited. It used to be that it was always better to get more about you out in more places. This would suggest it is better to cultivate better quality connections in existing networks. Lots of statistics from the Google blog about searches and other artifacts and commercial interest indications that have to do with the Olympics. Creative stats too, even something called a per capita medal tally. A recent conversation that dealt with how to establish the measurable aspects of a difficult process improvement problem led me to think once again about the book: How to Measure Anything: Finding the Value of Intangibles in Business, by Douglas W Hubbard. ... “Anything can be measured. If a thing can be observed in any way at all, it lends itself to some type of measurement method. No matter how “fuzzy” the measurement is, it’s still a measurement if it tells you more than you knew before. And those very things most likely to be seen as immeasurable are, virtually always, solved by relatively simple measurement methods.”. See the book's site for more. I may have included this in a previous post, but it is worth repeating. A good basic introduction to Bayesian Network methods from Conrady Science, which integrates some writings by Judea Pearl. Essential reading if you are interested in intelligence rich techniques that can be readily integrated with real-time decision making. In our own experiences we used simple rule-based layers that led to specific Bayesian networks to solve complex problems. I can also see this method integrated with numerical optimization techniques and then plugged into process flow implementations. Frost & Sullivan and IBM write about the problems with CRM data. The article contains many statistics about the problem and how integrating solutions that making connections between the channels your customers have started to use and your decision making capabilities have become essential. " ... 23% of an organization’s CRM data is inaccurate, incomplete, or out of date... " This document is about how smarter commerce can help to place that intelligence in place and in context. Now 12% of the US population refer to social media before making a decision, and the data that comes from social is usually unstructured. Large enterprises have increasingly looked at this data to leverage what they do. But now smaller companies can play in the space effectively. . Because this kind of data tends to be volatile and near real time as well, its accuracy and timeliness is essential. In addition, it is more important than ever to make sure that you quickly close the loop with your customer in the same social spaces. Do your managers and executives know when your customers are making important statements about products and services? So what is needed? The ability to integrate solution methods that look for patterns, inform decision makers about changes that occur, and link those patterns to specific processes within a company. That provides the platform for real time action that allows the midsize company to plan, react and ultimately compete. Excellent document, well worth reading. It has now been many years since the first use of loyalty data processes. Technology continues to help leverage these ideas by leveraging the economic exchanges we can put in place that work with human behavior. Some good examples in CW. There is still much to do, but we now have much useful data and analytics in place. What makes the the European retailer Tesco great? I have interacted with them a number of times and they are impressive in their use of technology and analytics. Always looking for a better, simpler and cheaper way. An interesting piece by their CEO Terry Leahy. This content acquisition includes some 350 travel guides. Searchable I assume. Making Google more of a published travel content location rather than just a portal. More here. Via Mark Perry. Points to a TED talk. Not close feasible yet, see the comments section for some thoughts on that, but an indication of where the proponents of remote manufacturing are heading. Some aspects of this are aimed at the labor and specific intelligence involved in the process of manufacture. I think that such 'printing' still needs to be aimed at limited and focused areas, but it is nice to see the idea stretched to proof its limitations. An interesting piece in CW about how CIO's decide to make investments in technologies. What they have done or not and why. Done in a story format. Useful from either side of the proposal table. Last year I attended a GE Smart Grid meeting and was inspired to take a closer look at how smart data and analytics are improving utility efficiency. I continue to follow the trends. Here is a good overview article on the subject. Former colleague Lou Killeffer has a conversation with Jun Lee of ReD Associates on design thinking, strategies of innovation and how human behavior and views are involved. Useful thoughts. " ... Jun cited technology as the primal force in innovation while describing ReD’s aspiration to innovate, independent of technology, by creating shifts in meaning among consumers and their worldview. He spoke about the critical role of the social sciences in his work, the mysterious nature of the best client problems, and the depth of intellectual rigor required to succeed. Indeed, Jun describes ReD’s pursuit of the best outcomes as painful and believes pain-free thinking simply hasn’t gone far enough in identifying the next big opportunity.... "
Have you noticed we are still not in a paperless world? It was predicted years ago, but I still get paper mail receipts, notes, specification sheets, business cards and warnings. I can take pictures most anywhere now, so its a lot easier to digitize when I need to, but the scale and extent of what I need to do often gets in the way, so I often don't do it until it until its too late. We are still inching in that direction. Here Ars Technica reviews an inexpensive doc scanner that does not need to be attached to a computer and they say works fairly well. I have been been following the exciting work of NASA in landing on Mars. In particular how a number aspects of the system have autonomy and how that influences the science work. Lessons for intelligence in enterprise work here. Here in Computer World, how the software is updated. And more on installing smarts for driving. A group of interesting examples of the use of Crowd Sourcing. I don't agree that Crowd Sourcing is always a smarter solution, but it should be considered. " ... The business case for crowdsourcing is simple: more heads are smarter than one. "The crowdsourcing trend comes from the increasing recognition that no matter how smart a manager is, harnessing 10,000 brains is always going to yield better results," says James Gardner, Chief Strategy Officer at Spigit.... "
In the WSJ: Good thoughts, I still like focusing the human touch, but lets use all the tools available: The Friendly, Neighborhood Internet School We have the technology, the people and the institutions we need to usher an online-education revolution..... "
In Innovation Excellence: In some locations you can have your Amazon shipment delivered to a locker that you can access 24 hours a day. You are emailed a one time code to retrieve it. The idea would have been useful for a home delivery experiment we did a number of years ago. More at the link. Laurence J. Laning and, Timothy J. Kloppenborg. Appears to be of general interest to the manager of the modern enterprise. I will follow with more information as I review. Non-technical in nature. " ... As an executive in today’s economy, your organization may have limited resources and bench strength. How can you and other leaders make the most of your company’s assets? This book will instruct you and your leadership teams on implementing strategy through identifying, selecting, prioritizing, resourcing, and governing an optimal combination of projects and other work. Inside, you’ll learn how to sponsor every project stage, as well as instruct your project managers and direct reports to follow your lead. Detailed advice is given for project management competency on utilizing input from customers, employees, and processes ... "
Blocking speed blocks innovation. Often yes, but the the scale-speed of the innovation matters. Early speed to trim ideas, is usually good ... but once down the road you can place yourself into bad place more quickly with speed. The NYT discusses how and why people can be given individualized prices for goods. If course this has been done for a long time. Through promotions. Loyalty programs. Group buying. We are now getting much closer to being able to effectively mine data that reflects our habits precisely. That data can then be traded with the retailer or manufacturer to get a better deal. Expect this idea to continue to progress. The article is a good basic introduction. Boeing demonstrates swarming drones. Which reminds me of long ago projects that looked at how simple,uni-purpose, cheap and even disposable robotics could be used to perform relatively complex tasks by aggregating their efforts. It also points to to the idea of agent based modeling, which we used for such corporate problems as trying to determine the predicted value of new initiatives. And another designed to understand how complex supply-chains could be improved. We never attempted to make the agents fly, though. Of Interest: Another DARPA example I have just examined. Automated, deep natural-language understanding technology may hold a solution for more efficiently processing text information. When processed at its most basic level without ingrained cultural filters, language offers the key to understanding connections in text that might not be readily apparent to humans. DARPA created the Deep Exploration and Filtering of Text (DEFT) program to harness the power of language. Sophisticated artificial intelligence of this nature has the potential to enable defense analysts to efficiently investigate orders of magnitude more documents so they can discover implicitly expressed, actionable information contained within them. If you haven't already found it, take a look at the P&G Alumni Bookstore. Books published by your fellow alumni. Just go to the Book Directory tab on the P&G alumni website. Books by John Pepper, Meg Whitman, Norm Levy and dozens of others. All the books are for sale on Amazon and in other bookstores with a simply click from our web site list. On entity analytics. An explanatory video. "... If you haven’t heard IBM Fellow Jeff Jonas talk about how the right algorithm can help you figure out who’s who among a sea of data points, you’re missing out. The good news is Jonas’s vision is now a product. If you haven’t heard IBM Fellow Jeff Jonas talk about how the right algorithm can help you figure out who’s who among a sea of data points, you’re missing out. The good news is you can now buy the finished product of the work that’s been consuming Jonas’s time for the past few years. Called Entity Analytics, it’s part of a new analytics software suite IBM ..."
Marc Pritchard touts the use of Facebook in the Olympics 'Thank You Mom' campaign as a perfect storm ... Good example of the use of integrated social media. " ... Procter & Gamble is looking to generate $500 million in sales off its massive marketing push centered on Olympic athletes and their moms, and while it won't know if it's hit the mark until the fall, Global Brand Building Officer Marc Pritchard thinks they're on track ... "
More reliable and much faster. Expect flash drives to take over from disk drives. But with the advent of the pervasive Cloud will we be storing much less there? More. Wharton WCAI has an upcoming free webinar on Marketing Experiments: From the Basics to the Cutting Edge. On September 12. I plan to attend. More information and registration here. A recent conversation with a client brought up the issue of privacy in the cloud. How does it differ from information stored in other locations? In E-Commerce Times: A look at how entities like governments around the world look at this issue. " ... Privacy in the cloud may be an illusion, given the known cybersecurity risks, not to mention the laws in the U.S. and around the world that permit government agencies relatively easy access to remote data including data stored in the cloud. Of course, businesses have relied on storing data in the cloud for more than 50 years. While many companies take great pains to protect cloud data from cyberthreats, they have no way to prevent governments from freely accessing their cloud data. Companies using the cloud may not realize that cloud data is more vulnerable than other remotely stored data, including data held in disaster recovery locations.... "
Richard James writes: In the Guardian: "Tesco has launched the UK's first virtual supermarket at Gatwick airport in the hope bored holidaymakers waiting for their flights will want to order a delivery for when they return." and Video of the store in action. Also in ZDnet. We have now seen a number of examples of this idea in cities or other location that people travel through, using smartphones as ordering and information gathering devices. Amazon enters the gaming fray. " ... Amazon says that it has started making social games because it believes it can make social games well. "We know that many Amazon customers enjoy playing games--including free-to-play social games--and thanks to Amazon's know-how, we believe we can deliver a great, accessible gaming experience that gamers and our customers can play any time," the company explained on the Amazon Game Studios website. ... "
An example in the gaming industry. Which we explored as a solution to retail applications as well. The use of analytics have been common there for years, given the industry's use of loyalty data to leverage behavioral interaction. From Nielsen: Not very surprising, the convenience and ubiquity will prevail. " ... Survey results released on Monday showed that 45 million people, or 47 percent of all smartphone owners, used mobile apps in the Nielsen-defined Shopping/Commerce category in June. Nielsen projected those findings from a survey of 5,000 iOS and Android users who agreed to have Nielsen install app-use tracking software on their phones. It was Nielsen's first study of a particular category of mobile app.... "
In AdWeek: A look at what P&G has done with digital and the Olympics. Also a mention that augmented reality saw little traffic. " ... Procter & Gamble's broad-based digital campaign linked to the London Olympics is part of an effort to reduce its marketing costs without reducing its brands' clout. The company is sponsoring E! 's online and mobile coverage of the Games, running pre-roll video ads for several of its brands, and launching Facebook and Twitter campaigns tied to the London Games ... "
And by simple, well, we mean simple. No jargon, no vague ROI estimations, no superficial metrics. Just a belief that you should be able to spend your marketing dollars directly on your customers and measure exactly what your money accomplished. That's why we created CoupSmart - a simple, direct way to launch, manage, and measure marketing campaigns for brick and mortar businesses. From retail to consumer goods manufacturers to restaurants or service providers, we help your business run powerful marketing campaigns via social media, mobile, email, and even in-store and on your packaging. Every one of our products uses our patent-pending Socially Identifiable Promotions™ platform, letting you target and track exact individuals and gather data on everything from the actual number of redemptions to your customers' interests.... "
"Many of you asked me to let you know when my book is published. Well, after 3 years of research and writing, today is the day! 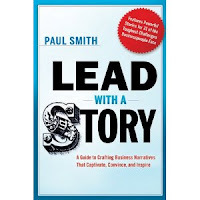 Lead with a Story: A Guide to Crafting Business Narratives that Captivate, Convince, and Inspire is now available in most major bookstores in the U.S. and all the online retailers like Amazon. It's also available in Canada, Australia, the UK, and some other parts of Europe. My research included over 75 interviews with leaders at dozens of companies and in 13 countries around the world. I ended up with over 100 stories from CEOs to small business owners, to bankers, consultants, teachers, secretaries, scientists, doctors, lawyers, accountants, salespeople, talent agents, engineers, marketers, and even fashion models – demonstrating that storytelling can be helpful no matter what line of work you’re in, or what title is on your business card. You can learn more about it, or place an order for a signed copy at www.leadwithastory.com/book. ..."
Via InformationWeek: As we see more social and mobile data being collected the potential of its use is growing rapidly. " ... One of the key properties of social media that has set it uniquely apart from other ways of communicating is that it has a property sometimes referred to as "network effects by default." By this, I mean that the conversations within social media are generally and automatically visible to anyone who cares to go look at them. In this way, each new conversation enriches the entire social ecosystem for everyone, creating the maximum possible value. ... "
Colleague Julie Anixter does an interview with Robert Rodriguez about Security Innovation Networks. " ... to advance innovation and enable global collaboration between the public and private sectors to defeat cyber security threats. Today, SINET is a multifaceted platform that serves as the catalyst that connects builders, buyers, researchers and investors in the cyber security domain .... "
Another example of health robotics, which I have started to study more closely. A number of examples that gather health data exist already, which minimizes labor costs. The addition of the 'disposable' aspect has at least the potential of cost savings, though being disposable can also easily increase the cost in this industry. Have been reading much lately about how the Internet emerged. Debating how it was funded. It happened I experienced much of it first as an early user at the Pentagon, using it to test remote systems, and later in a big enterprise trying to figure out how to use the many adaptations seeking to make both sense and profit from its infrastructure. And it continues to involve. A recent article that does a good job describing its development emergence. It does not describe well how business flailed around for years making those adjustments. The market adaptations continue. Spontaneous order had quite a bit of disorder in it as well. A TED video by Daphne Koller of Coursera" ... enticing top universities to put their most intriguing courses online for free -- not just as a service, but as a way to research how people learn. Each keystroke, comprehension quiz, peer-to-peer forum discussion and self-graded assignment builds an unprecedented pool of data on how knowledge is processed and, most importantly, absorbed .... shares her excitement about making the college experience available to anyone through her startup, Coursera. With classes from 16 top colleges, Coursera is an innovative model for online learning. While top schools have been putting lectures online for years, Coursera's platform supports the other vital aspect of the classroom: tests and assignments that reinforce learning ... "
Brought to my attention. Caerus Analytics. " ... pushes the boundaries of social and data science to find meaning in complexity. We develop rigorous, innovative analytical tools and frameworks for the defense and intelligence communities.... "
Helping the disabled, at home and office ... with fundamentally re-designed robot hand. In Engadget. Video. Christophe Morin on this intriguing topic. With links to a number of papers on the subject, from Pavlov and beyond. Particularly key to see aspects other than arousability mentioned. . Interesting to see how things other than the usual sensory measurements could have impact on neuromarketing decision making. What will the response be from classic educational venues? Considering a strategic response. The Hive group provides a treemap data visualization map for medals at the London 2012 Olympics. Among a gallery of other visualization examples for complex data. A good time to become acquainted with this form of data display. In HBR: I found this idea of creatures for a brand interesting because I had a project that tried to integrate Mr. Clean and the use of artificial intelligence. A creature, brand equity and an attempt to integrate personality and intelligence to the creature. Not successful beyond the usual 1940's view of the brand. He reverted back to the old plan very quickly. Nothing very new here. But in Mashable, a list and vendor overview of advanced, often mobile tech being seen increasingly often in the supermarket. Though most of these ideas have been seen for years, the retailers and vendors are getting more serious about how they profitably apply. Correspondent David Goldberg points me to the BigBeacon blog. A movement to transform engineering education ... Which also syndicates some of his writing on the subject. Always interested in passing along some useful information, well presented. Wharton examines the no-boss environment. An unachievable utopia? Or the future of a strong social, but also measurable environment? In Fastcompany: A useful thought, which we used with regard to setting and testing contexts that changed behavior. " ... Behavior is the unknowable variable in every innovation, and it is the variable that most determines the opportunity a new business model has to evolve and take advantage of the new behavior.... "
In Google Research: Big Pictures with big messages. How do we deliver big data onto a palette that makes the message clear? Easier with geographical maps than it is with more abstract layouts, but always worth considering. Can a user scan the example visualization and very quickly get the point? Some good examples from Google Research. Alison Bolen of the SASCom Blog aggregates a number of good thoughts and posts about the topic of big data. Google Wallet now accepts many card options. We move closer to the electronic wallet. Near universal capability is key. " ... The newest version of Google Wallet now sports a feature that makes paying with a cellphone that much more a reality for non-techie users. Google has launched a cloud-based version of Wallet that "supports all credit and debit cards from Visa, MasterCard, American Express, and Discover," according to a post on the Google Commerce blog.... "
" ... Connect+Develop, the program that’s brought consumers a series of breakthrough products including Swiffer Dusters, Mr. Clean Magic Erasers, TidePods and Olay Regenerist. Laura Becker will lead P&G’s Global Business Development group, responsible for empowering and driving Connect+Develop open innovation work across the Company and around the world. ... "
Also mentioned, that they plan to accellerate their open innovation network.
" ... McDonald’s understanding of how technology can transform the business (it is no coincidence that he himself is an engineering graduate) has led to high expectations that P&G’s global head of IT, Filippo Passerini, will play the critical role in making this a reality. “IT is the key enabling function in delivering our digitization strategy,” says McDonald. “And Filippo has been partnering with me to develop the strategy and implement it with excellence.” ... The end-to-end digitization goal will be helped by the fact that Passerini’s remit extends way beyond that of the CIO — he is also group president of P&G’s Global Business Services organization, the division of P&G responsible for all back office functions, from IT to finance to facilities management.... "